Indonesian Pebble mosaics are defined by the irregular edges of each individual tile on mesh. Composed of natural stone, each sheet is a blend of smooth natural finish - perfect for bare feet. We recommend offsetting each sheet of mosaic to prevent the appearance of seams. 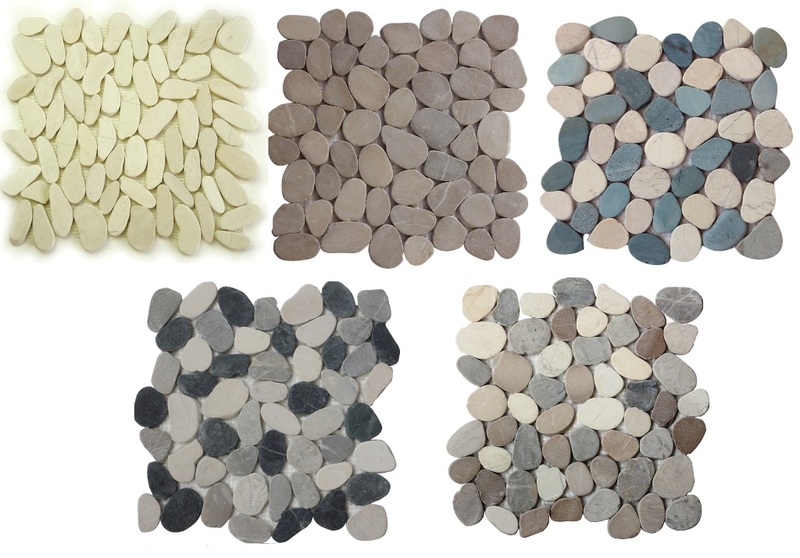 Each pebble tile is a standard tile thickness of 3/8 inches and set on a 12"12 interlocking mesh backing for easy installation.